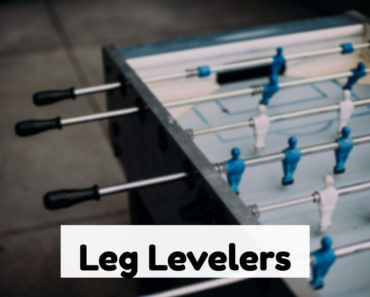 If the player rods of the Foosball table is getting stuck to the sides of the table and you are getting tired of it, then it is time to replace your old bearings and get new best foosball bearings. What is a bearing and why is it used for? 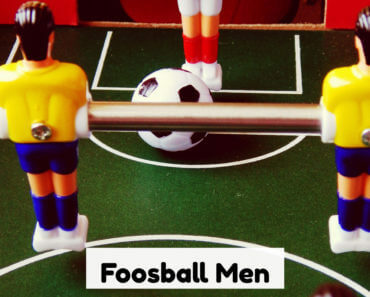 Foosball bearing is those small parts which are inserted into the holes in the sides of the table. The player’s rods slide in between these parts in and out while in play. 1 What is a bearing and why is it used for? 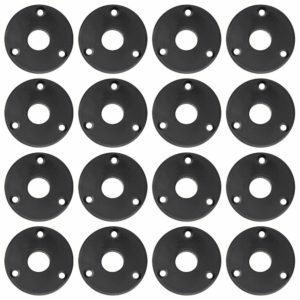 Without these bearing, it becomes very difficult for the players to slide the rods smoothly through the holes. Hence, these bearings are used to reduce the friction between the hole and the rods and can thereby perform fast shots very smoothly. Bearings are often given very less or no importance at all when one shops for a Foosball table. If the inside of the bearings is very smooth, it allows the rod to slide through very smoothly and assists in fast plays. Hence, one must check that the corners of the bearings are not cut by the Foosball table manufacturers. Slow movements of a player rod are not caused just because of a faulty bearing. There are some more factors which cause slow movements like heavyweights of the rods or lack of silicone which must be applied to bearing at frequent intervals. Hence it is always advisable to go for brands like Tornado and Dynamo which does not manufacture tables with a cheap bearing. 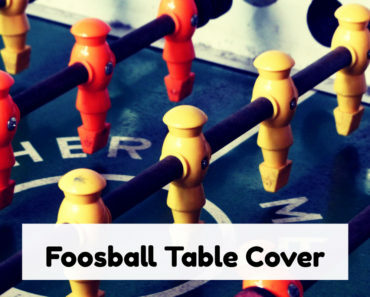 As you use the Foosball table regularly, friction may develop over the rods and bearings on a Foosball table. Lubricating is a most important maintenance task that is very essential to keep the bearings in its perfect shape and help in the smooth movement of the rods through the bearings. You may use the following steps to maintain the bearings with the help of lubricants. Cleaning of rods and bearings is very essential before the application of lubricants. If a lubricant is applied on an uncleaned surface, dirt and dust would be worked into the lubricant. This will result in the lubricant producing counterproductive effect and will increase the friction. You may follow the below-mentioned methods to clean the rods and bearings. In some case, a bearing might have been replaced recently and even then the movement of the player rods are not smooth. This means that the bearings are needed to be cleaned. But note that it is not possible to clean a one piece snap in bearings without removing the rods. You may follow the below mentioned 2 methods to clean the bearings without removing the rods. You must wipe the player rod dry with the help of a rug or a paper towel. Pull the player rod towards yourselves. Apply some good amount of lube on the rod. Spin or twist the rod as you push it away from you. This helps the lube to get into the space between the rod and bearings. The lube will help cleanse the bearing as it will coat the bearings, moisten the build-up and will loosen some of the dirt or dust settled there. Repeat the steps depending on the amount of dirt and dust to be cleaned. NOTE: Clean the rod and the bearings at the end again with rug or paper towel. This will help us in not ending up with an excess lube spitting out onto the playing field. If you find that this method is working for you, you can use the same steps for the other end of the rod and also for the other rods as well. Now wrap a piece of paper around the rod between the handle and the sidewall. You must wrap in such a way that one corner of the paper must point towards the bearing. Also, make sure that the piece of paper is wrapped very tightly to the rod. You can now carefully slide the rod so that the sheet of paper goes between the rod and the bearing. As you twist slowly, you will see that the corner of the paper acts similar to a scraper. Now slide out the rod slowly to find the dirt and dust having been removed. You may repeat the steps to get a great result. WARNING: This method can complicate the cleaning if you are careless and get a piece of paper wedged between the bearings and rod. This might further slow down the movement of the rod. You may follow the above mentioned two methods at frequent intervals to enhance the smooth movement of the rods. Silicone is the most widely preferred lubricant for Foosball table maintenance. People earlier preferred WD-40 as a lubricant to lubricate the rods and bearings. This was proven to be very harmful to the parts as volatility and penetrating effect of WD-40 is very high. Silicone lubricant comes in two forms – A liquid form and also as a spray. The liquid lubricant is always the best option as this will let all the lubricant to go all the way inside the bearing and has maximum maintenance effect. Care must be taken in this as it is pretty difficult to keep the lubricant off the playing surface. This might result in hindering the functionality and the appearance of the table. Hence, the best advice is to cover the playing field with cover perfectly before the application of the liquid lubricant. There are around 8 Foosball bearings on a Foosball table. Some old school Foosball tables have bearings which are split into two pieces. 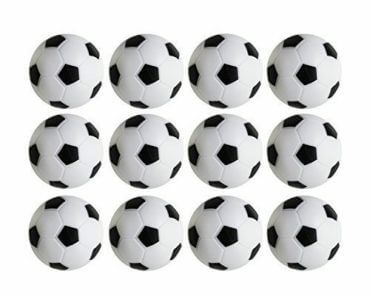 Foosball bearings typically cost between USD 2.5 – 5. It is important to replace your bearings with the same brand. If not you could end up with different spacing than your usual table is supposed to have. A small mistake in purchasing a bearing might throw off the entire game.